Free cavity wall insulation grants are available in the Perth & Perthshire area if you qualify through the Government ECO scheme. The Energy Company Obligation is designed to tackle carbon emissions and fuel poverty by improving the energy efficiency of residential properties throughout Scotland. Installing cavity wall insulation is like putting a coat on your house. Wallnsulation keeps the heat in, meaning that you can have your central heating on for less time, or turn in down to a lower level. This costs you less in gas / fuel bills and reduces harmful emissions which are released into the environment. Cavity wall insulation also keeps your home cooler in the summer. 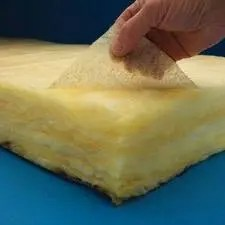 Getting free insulation in Perth is a straightforward process. You can arrange an appointment with an authorised Energy Grants Surveyor by entering your details in the Insulation Grant Enquiry Form opposite. Getting an insulation grant in Perth is a straightforward process. You can arrange an appointment with an authorised Energy Grants Surveyor by entering your details in the Insulation grant form opposite. An insulation surveyor will then contact you to arrange a loft insulation survey. He will check to see if your you have the recommended level of insulation.